We are a 501c3 non-profit that provides blessing bags to homeless and needy within the United States. Our Blessing Bag program is designed to help those in need and we help people grow through bags filled with various hygiene items. 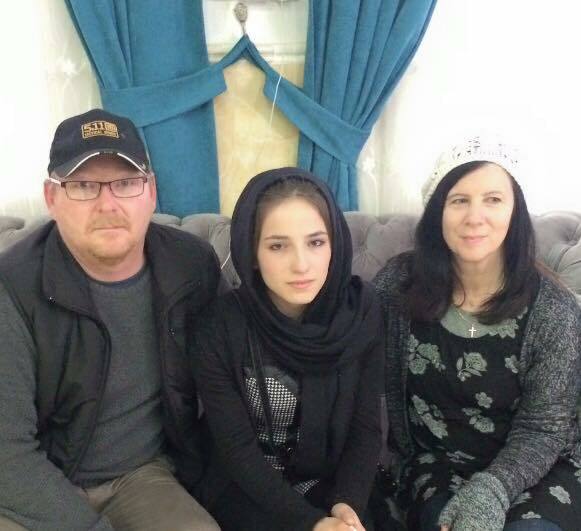 Phil with Fatin (Center) and Donna, another humanitarianin Iraq. 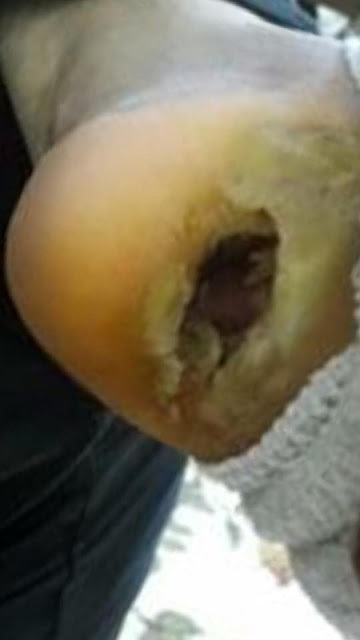 Recently, Phil met a woman named Fatin, a 21 year old who had a foot problem, the heel of her foot bad become eatan away with rot and diesase. 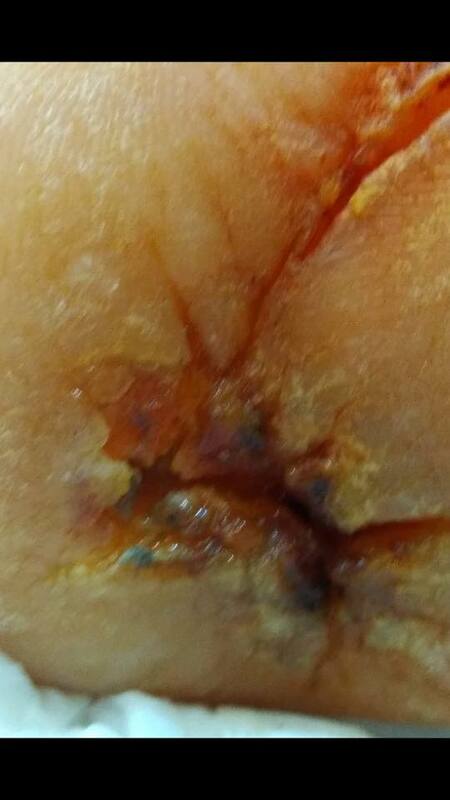 Just a few months ago her family came to me asking for $10,000 dollars to get her foot cut off. They had been to the best Dr's in Iraq and the best recommendation they could give her was to have the foot amputated. The infection come from a surgery she had 5 years ago. We ask if we could pray for her and have a little time to figure out what we could do. The family agreed. I posted this on FB and friends begin to pray. Then some friends in N.C and V.A. provided some natural supplements for us to try out. Now after 6 weeks we are seeing a world of difference. Fatin still has a long ways to go but I was beyond encouraged after meeting with her tonight. I want to thank you all from the bottom of my heart for your prayers and support in helping this girl and for bringing some hope back into her life. Please continue praying for Fatin's full recovery. One of the pics was taken when she first come to me. Little by little we are seeing improvements but we still haven’t been able to diagnose the condition. Donations that people provide to the program go directly to Phil so that he can help people just like Fatin live a better life than she currently does. It's amazing that just a single $1 (which is 1,900 Dinar there) can make a huge impact in peoples lives there. Please consider giving a monthly donation to help Phil and for him to be able to help others across the other side of the world. Some of the images may be distubring below. Is the director of the Blessing Bag Program which started in 2016. From personally funding the program to becoming a small non-profit, Joshua not only oversee's the making of the bags ,but works with others in the community to make sure they get into the hands of the homeless and needy. Joshua runs the program in his spare time when not working fulltime.